The country of Ethiopia has 13 months, celebrates New Year on September 11th. Calendars and dates are very commonly used merely for keeping track of days or to find out which day of the week a particular day falls on. Here is a fascinating fact about calendars that you probably didn’t know. 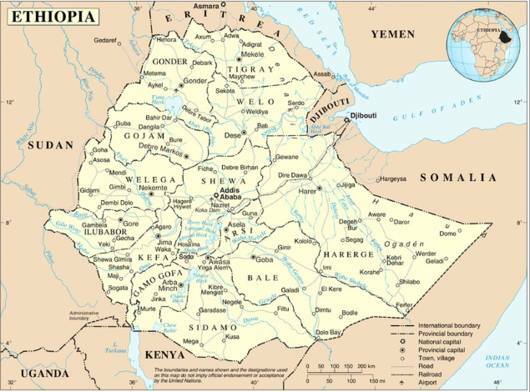 It is quite an unknown that the whole world, except Ethiopia, has adopted the Gregorian calendar, a calendar constituting 365 days in a year and 366 days in a leap year. On the other hand, Ethiopia has accepted the Coptic Calendar, which is quite different from the Gregorian calendar. The Coptic Calendar has 13 months of which 12 months comprise of 30 days each, and a 13th month at the end of the year called the intercalary month usually has 5 days and 6 days in a leap year. Moreover, the Gregorian and Coptic Calendars are not the only calendars. There are 5 other types of calendars namely: the Chinese Calendar, the Hebrew Calendar, Balinese Pawukon, the Islamic Calendar and the Persian Calendar. Coming back to the point, because of the adaptation of the Coptic Calendar, the country of Ethiopia celebrates New Year on September 11th! This is because the Ethiopian Calendar, as stated above, follows the Coptic Calendar which was fixed to the Julian Calendar in 25 BC by Emperor Augustus of Rome with a start date of 29 August, thus establishing the New Year on this day. Here, September 11th is in accordance with the Gregorian Calendar; in other words, it is September 11th for the world except Ethiopia, where it is August 29, the New year. The relationship between the Ethiopian and the Gregorian calendars varies whenever the Gregorian calendar misses a leap year. The difference in year numbering is because of the Ethiopian Orthodox Church disagreeing with the Roman Catholic Church about when Christ was born. The calculation of time is also dissimilar in Ethiopia as hours are counted from dawn. So the next time, while on September 11th you are engaged in your routine schedule, Ethiopia will be celebrating New Year! Previous articleA Dog named Capitan sleeps next to the grave of his owner every night at 6pm. His owner, Miguel Guzmán died in 2006. Next articleLightning is 5 times hotter than the sun.